The much awaited 12th season of the Indian Premier League is just a few days away and franchises are geared up to take on each other. The fans are also very thrilled to watch their favourite players setting the league on fire. 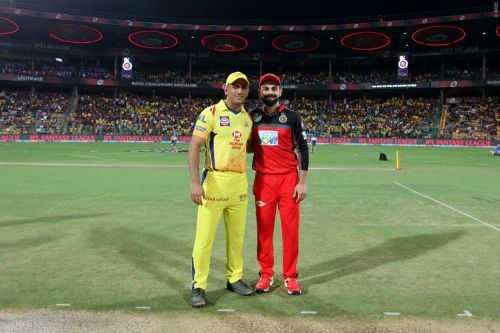 The tournament will kick-off on March 23, 2019, when MS Dhoni's Chennai Super Kings will take on Virat Kohli's Royal Challengers Bangalore in a mouth-watering contest at MA Chidambaram Stadium. The CSK-RCB rivalry is considered as one the greatest rivalries in IPL. However, CSK has always dominated the RCB. As far as their head to head record is concerned, both the teams have faced each other in 22 matches with CSK winning 14 of them while RCB winning just 7 of them and one match ended in no result. Both the teams have adorned with many star players. Hence, the season opener between CSK and RCB is expected to be a cracker of a match. Here we take a look at 3 players to watch out for in the first match of IPL 2019. Umesh Yadav was in red hot form for RCB last season. In IPL 2018, he was exceptional with the new ball and took a good number of wickets with his swing and pace in the powerplay. However, he was not as effective in the death overs. 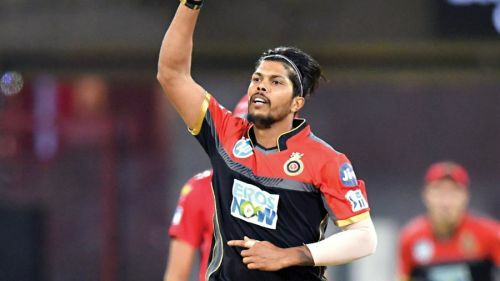 The 11th edition of IPL was one of the best seasons for Umesh as he picked up 20 wickets from 14 matches at an impressive average of 20.90 and an economy rate of 7.86 with 23/3 being his best. So far in his IPL career, the right arm pacer has played a total of 12 matches against CSK and has picked up 10 wickets from 12 matches at an average of 30.20 and an economy rate of 7.55. The 31-year-old will be RCB's premier Indian pacer and they will expect him to repeat his last season's performance this time as well. It will be interesting to watch how he bowls on the spin-friendly wicket of Chennai in the first match of the league.